The sewing of fashionable outfits and accessories is currently experiencing a true comeback. 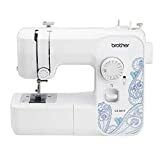 The range of sewing machines is very large – sewing machines for beginners, advanced and experts are just some of the products. 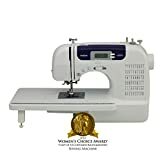 Which models fulfill their purpose perfectly and what one or the other sewing machine has to offer, we would like to explain in our sewing machine comparison. What do you need a sewing machine for? What distinguishes a good and high-quality sewing machine? What should you look for when buying a sewing machine? Does it have to be a computer sewing machine? Which stitch is used for what? 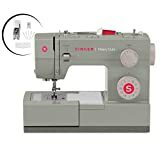 Is accessory needed for the sewing machine? Sewing is currently very much in vogue. Smaller or larger sewing projects are being tackled. While some need the sewing machine for mending or changing, others sew their entire outfit with the machine. This shows that the requirements for a sewing machine are very different. There are cheap sewing machines available at a price of about 100 euros, but you have to do without large and extraordinary functions. But these models are usually sufficient to start the first sewing attempts as a beginner and/or to sew smaller things. If you want to make small and large works of art out of different fabrics, perhaps with embroidery, then you should buy a sewing machine with the corresponding functions. In these cases, the computer sewing machines are probably the right purchase. 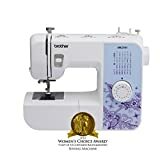 What you should pay attention to when buying a sewing machine and what are the differences in the sewing machines, we will discuss in more detail in the next sections. Pure sewing has long ceased to be the main function of modern sewing machines. While the garments used to be functional and simply cut, today the seamstress and the sewing skills of the seamstress demand so much. Terms like free-arm sewing machines, computerized sewing machines, overlock, embroidery machine and the like are all heard here. The free arm sewing machine is probably the most common type of sewing machine. With this machine, the area of the sewing needle can be freed up, so that sleeves and trouser legs can be sewn easily. while the normal sewing machines set the stitch type and width on a wheel. Most of the available sewing machines are equipped with automatic buttonholes. This buttonholes in different sizes can be easily and quickly adapt to a garment. Generally, a sewing machine works in such a way that one or more threads and usually a piece of fabric are sewn together. The so-called upper thread is pushed through the fabric or fabric with the aid of the gripper. A thread gripper connects the resulting thread loop with the lower thread. So the seam is fixed, the upper thread tight. A high-quality sewing machine offers you at least three different stitch types and a lockstitch. Some models over 100 different types of stitches, many are usually not needed. But the zigzag stitch, straight stitch, elastic stitch, and a lockstitch should definitely offer the sewing machine. A good sewing foot facilitates the work with the sewing machine, is useful for beginners and advanced. The ability to sew buttonholes should also bring a good sewing machine with it. Often you will only get to know the benefits of fast threading over time. A sewing machine equipped with fast threading is worth gold. A rewind function in the sewing machine is also a good feature. The yarn for the bobbin is rewound from the bobbin to the special bobbin thread bobbin. Adjusting the sewing speed should be a high-quality sewing machine in any case. So inexperienced beginner beginners can easily approach the first seams slowly. When buying a sewing machine you should pay attention to some, sometimes important points. 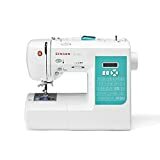 First of all, it is crucial whether you belong to the beginners or already has experience with a sewing machine and by your knowledge have further requirements for the sewing machine to be purchased. The purpose is decisive for the purchase. Do you expect the sewing machine to be able to sew or embroider? Many functions on a machine also often mean long training and difficult handling. If the sewing machine “only” for repairing and sewing smaller jobs, a good Freiarmnähmaschine is usually sufficient. And they can already do a lot. The weight of the sewing machine is important if you need to remove it after sewing and store it somewhere else. Therefore, it makes sense in this case, already pay attention to something when buying. And just when you transport the sewing machine more often, it should be stable built. Beginners are initially well advised with a so-called utility stitch sewing machine. You can only a few stitches, but the most important waived bells and whistles such as decorative stitches, which you usually do not need in the early days of sewing. The setting of the stitch width and stitch length should represent another purchase criterion. The variable setting gives you more and better sewing options. If you think you want to sew elastic fabrics every now and then, then you should take the elastic stitch as a purchase criterion on the list. This stitch allows the elastic fabrics to be sewn together, prevents wrinkles and makes the whole look clean. Maybe for one or the other also a decisive purchase criterion – the warranty period. The offered Computerähmaschinen are true all-rounders. Over 100 programs, embroidery programs, and other complex patterns can be created with the sewing machines. Before the sewing starts, it is programmed first. The type of stitch, the stitch length and width are specified and then you can start. With these machines, which resemble professional sewing machines, complicated work can be expertly tackled and dealt with. Whether you need such a computer-controlled sewing machine for yourself, you have to decide for yourself. The most commonly used when sewing is the straight stitch or also called a lockstitch. Good machines make it possible to vary the stitch length, which makes sense in any case. As a rule, the stitch length is between 2 and 4 mm. The zigzag stitch is meant to be missed so that the fabric can not fray. But as decorative stitching, the zigzag stitch is often used. Accessories such as spools, spools, needle, and fabrics are essential for sewing. To sew upper or lower parts or to create curtains yourself, patterns or pattern cuts are an excellent way to create a clue. For many sewing machines, a comprehensive range of accessories is already included, so you can start sewing right away.